For Tighter Looking Skin. Period. In 2016 a clinical study conducted by a third party found that LifeCell All-in-One Skin Tightening Treatment effectively treats and improves the appearance of wrinkled and sagging skin by making it look and feel tighter, firmer and healthier. 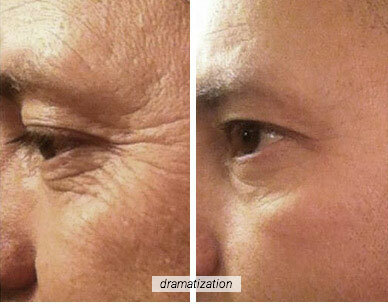 When you receive your trial of LifeCell make sure to apply it to the oldest wrinkle you have. 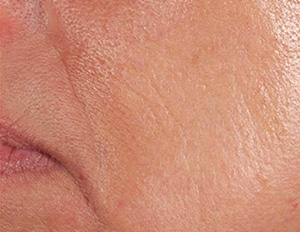 How do you know what your oldest wrinkle is? Here’s a hint: It’s not on your face. A human’s oldest wrinkles are on their fingers. Just take a look at a baby’s tiny hands. Their little fingers are full of wrinkles. 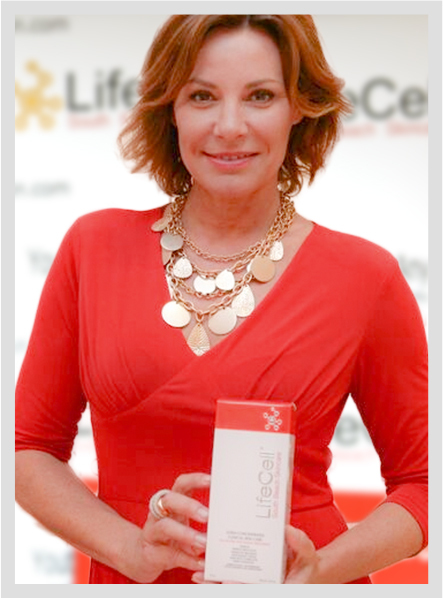 Received LifeCell at award show event. 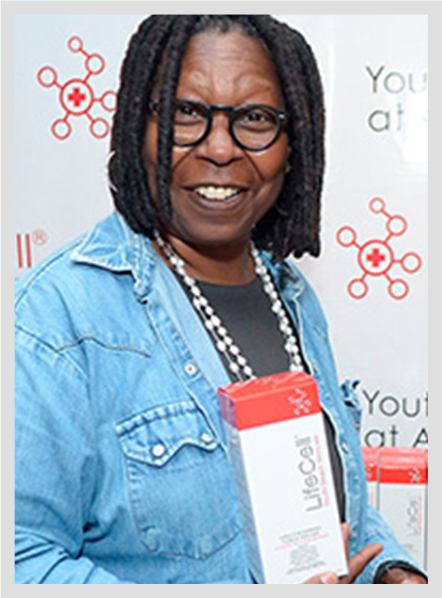 Not an endorsement. 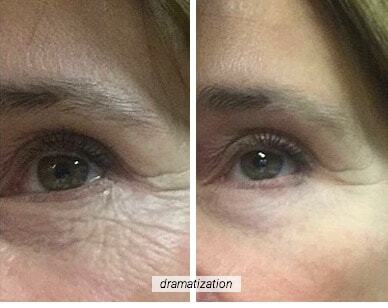 What makes wrinkles and fine-lines “visible” is their darkness against the rest of the skin. 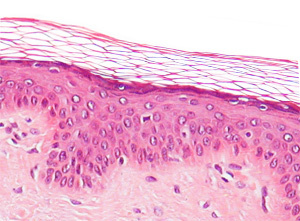 No matter how fair your complexion, these tiny crevasses stand out. Why? Simply because of the shadows cast by the edges of the lines and wrinkles. 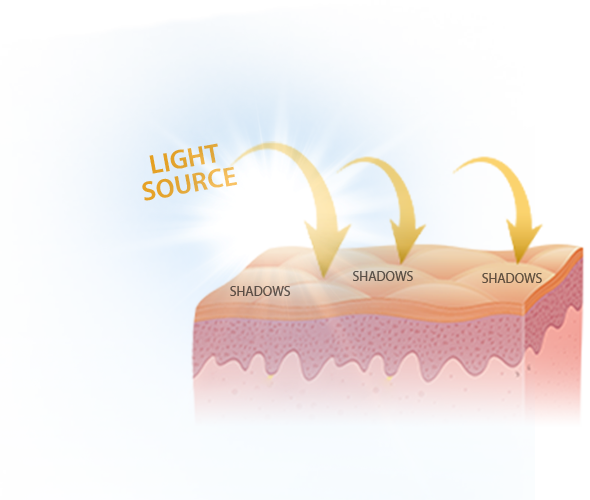 LifeCell’s light-reflecting micro-technology takes away the shadows which make fine lines and wrinkles so visible. By getting rid of the contrast which makes these lines visible, these wrinkles appear to diminish. This is what we call the “instant effect”. This effect lasts until you wash you face. Retinol (vitamin A) targets liver spots, sun damage and blemishes by accelerating the skin’s natural exfoliation process. 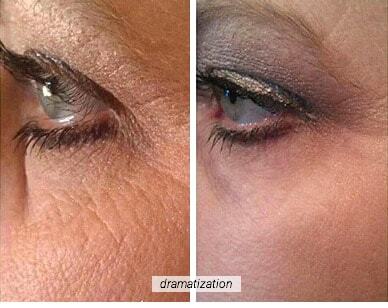 DMAE gives the look of firmer and lifted skin around the delicate eye area. It reduces the look of deep lines and loss of elasticity for a smooth relaxed effect. 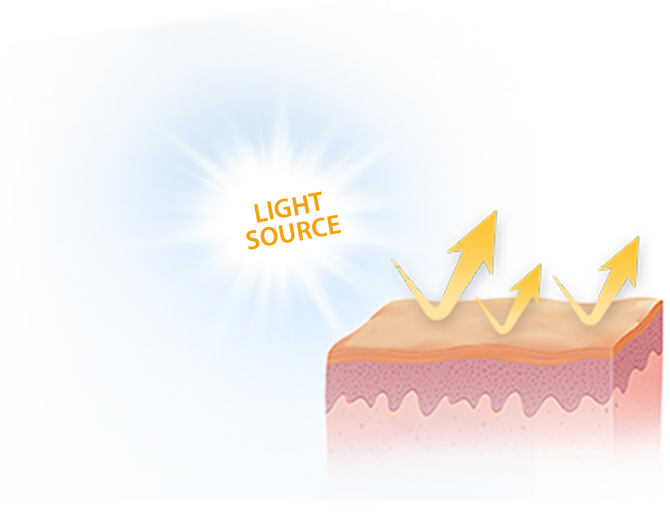 The natural ingredients in LifeCell reduce the appearance of irritated and broken blood vessels in your skin. Those lines around your lips can come from years of smoking. 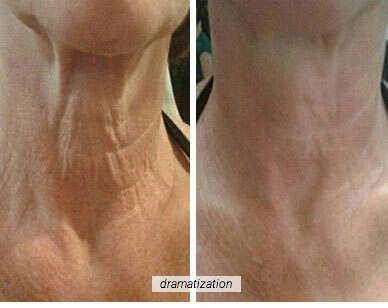 LifeCell helps smooth out the look of these wrinkles and give the skin a plumper, more hydrated look. Deep lines respond well to the lifting action of DMEA. 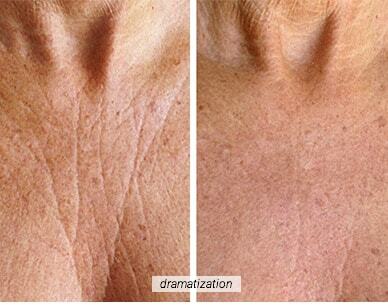 The hydrating ingredients act as a filler to plump up these lines for younger look. 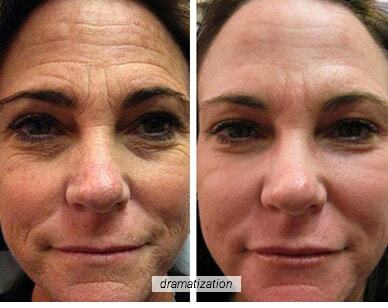 In Just 27 Seconds: Lifecell doesn’t erase your wrinkles instantly. We’re all sick of claims like these. No product can do that, no matter what the manufacturer promises. 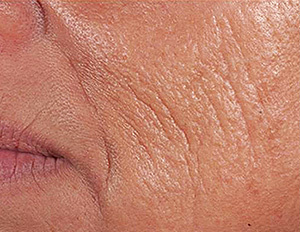 But Lifecell does use Soft Light Diffusion Technology to diminish the appearance of your wrinkles in just 27 seconds. Healing on a deeper level takes longer, but you’ll look better right away. Our R&D team found something phenomenal when they were working on this formula. 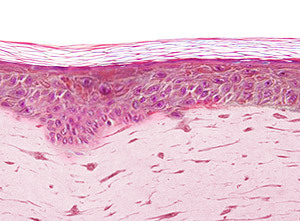 They developed a technique to deliver LifeCell into the deeper layers of the skin topically. Individually, each ingredient’s make-up is too small to penetrate, but combined, they made it happen. We synthesize Hyaluronic Acid into Sodium Hyalurate, which is Hyaluronic Acid in salt form. From there we further engineer it to be as molecularly light and small as possible, and therefore able to penetrate deep into the skin. Along with Retinol, Vitamins and Dermaxyl peptides, reach deep into the dermal layer, making the skin appear significantly more youthful. All three layers of the skin appear rejuvenated. 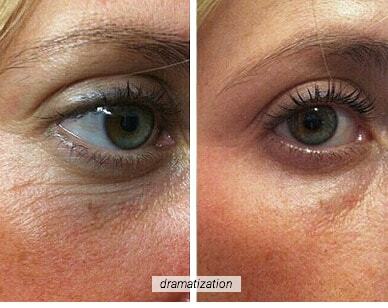 The result is a more even color, smoother texture, and diminished liver spots, sun spots and blemishes. 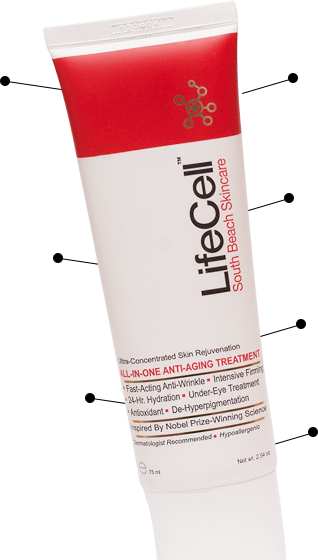 With continued use, LifeCell helps protect the skin from dehydration and loss of moisture. 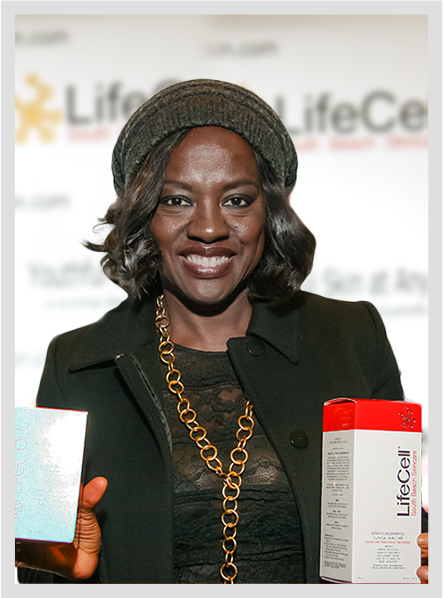 Lifecell's Life-infusing Science Signature, enhancing the skin’s natural renewal process. Results may vary. Each individual case is different. 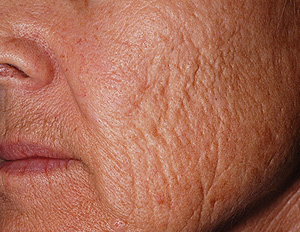 Time Magazine in "The War On Wrinkles" highlighted a Ubiquinone's derivative as a great weapon against fighting wrinkles. NBC News in a breaking news show on skin-aging called a Ubiquinone derivative a "super skin- saving antioxidant." Fitness Magazine - "[Ubiquinone's derivative] doesn't just prevent free radicals from ravaging skin—it reverses past damage, too...The Ingredient has been shown to restore cell vitality." 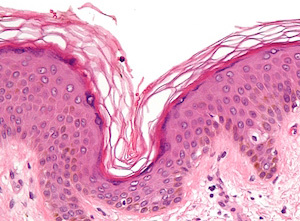 It [Acetyl Hexapeptide -3] aims to have properties similar to the cosmetic injections and can theoretically act on the same nerve-muscle connection that Cosmetic Injections works on. The Times (England's #1 Newspaper) in an article "Forever Young" said, "dermatologists are hailing it [a Ubiquinone derivative] as the most potent skin care antioxidant available. Studies have shown it prevents cell damage linked to aging and wrinkles. LifeCell is formulated with top-quality ingredients. Each ingredient treats a specific area. After years of creating and testing different formulations, we found a way to make each ingredient work synergistically without cancelling each other out. An essential key component of connective tissue. Nicknamed "Nature's Moisturizer" for its ability to moisturize skin, this ingredient will allow skin to maintain just the right amount of hydration without causing oiliness. 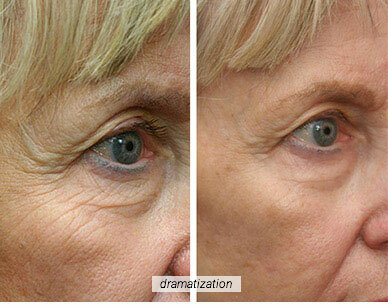 Hyaluronic acid will also plump the skin to smooth and almost erase wrinkles. Ubiquinone which most scientists claim clearly out-shines all other antioxidants available today. It boosts our body's ability to produce collagen, elastin and other important skin molecules, helping our skin look young, healthy and wrinkle-free. 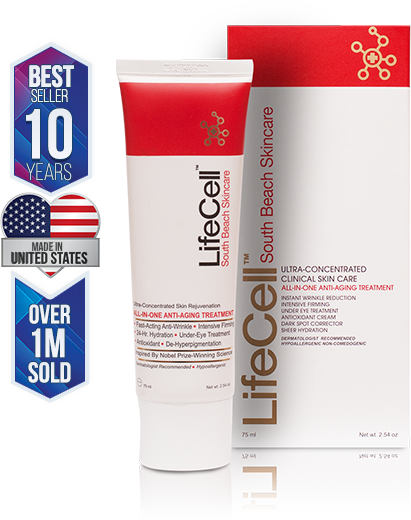 LifeCell has sold over 1,000,000 skin tightening treatments. It’s the best-selling treatment from our line of anti-aging products. What sets it apart from competitors is the convenience of being an all-in-one treatment. Instead of having to buy and apply 5-7 skincare products everyday, we formulated all of these beneficial treatments into one easy-to-use product. We know that once you try LifeCell All-in-One Skin Tightening Treatment, that you will never want to be without it again and that makes us very proud. Our company was founded on three core values that we live by which are “Integrity, Quality and Honesty” and it’s with those values in mind that we make this promise to you. LifeCell will only ever use the BEST in Quality Ingredients and we will ALWAYS stand behind our product by guaranteeing your complete satisfaction. 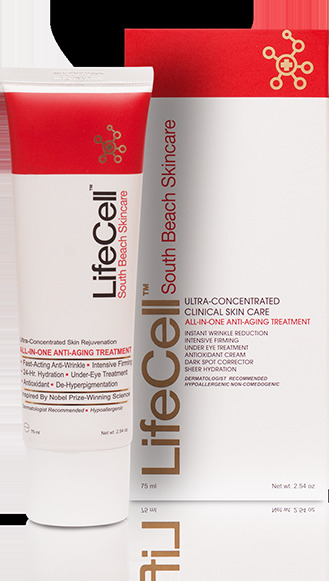 At Lifecell® we understand everyone's skin has it’s challenges. 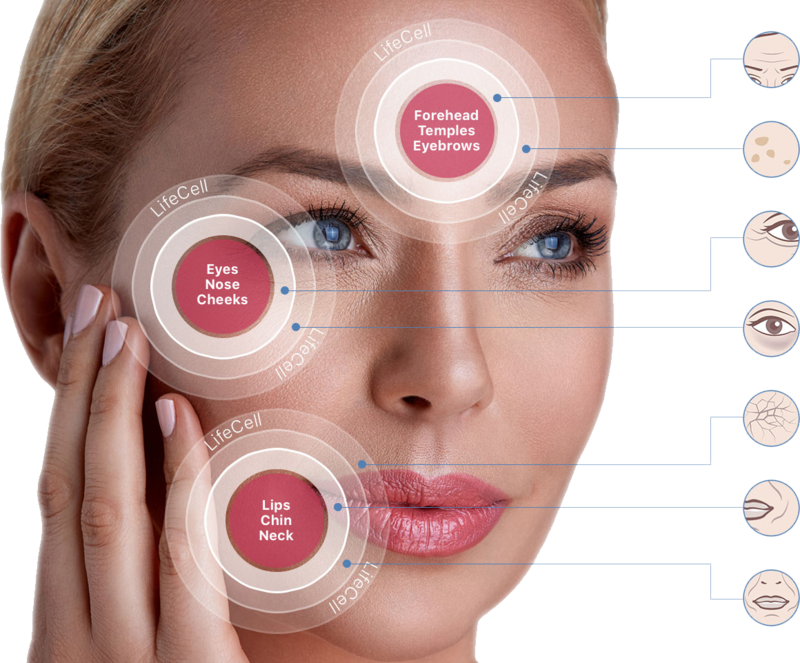 Main aspect of our brand that differentiate us from competition is our innovative scientific approach in development of skin care rejuvenation products.